Du får nå en gylden sjanse til oppdatert kunnskap om allmenne, men kontroversielle opple­vel­ses­typer, såkalte psi-fenomener (paranormale fenomener). Telepati, klarsyn, drømmer/syner om framtiden (prekogni­sjon), poltergeist, hjemsøkte hus og andre uforklarlige hendelser oppleves av mange personer og familier. Healing oppsøkes av mange. Flere lurer på om hva man kan si vitenskapelig om et liv etter døden. Her legges vitenskapelig kunnskap og troverdige opplevelsestyper fram på en forståelig måte for både leg og lærd - med bidrag fra anerkjente uten­landske forskere så vel som norske eksperter. 10.45 Ganzfeld telepathy – What Have We Learned? 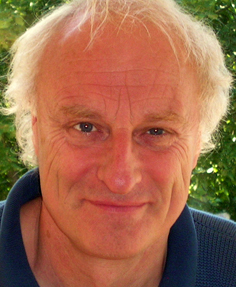 Adrian Parker, prof. i psykologi, Universitetet i Göteborg. 14.00 Do we survive death? Dean Radin,Chief scientist, Institute of Noetic Sciences. 15.30 Paneldebatt: Anomalistic experiences: normal or paranormal? Parapsychology refers to the scientific study of phenomena that seem to challenge commonsensical notions of time and space. It has two main approaches: descriptive and experimental. This presentation will give an overview of the cumulative statistical evidence obtained from controlled experiments, comparable to that of more accepted topics in other areas such as social psychology and medicine. Linjene trekkes fra det aller første første selskapet for psykisk forskning som ble stiftet i 1891, til man endelig lykkes med å stifte Norsk selskap for psykisk forskning (det tidligere navnet til Norsk Parapsykologisk Selskap) i 1917. Deretter beskrives selskapets historie gjennom til dels turbulente begivenheter i mellomkrigstiden frem til dagens selskap. Gjennom 12 år har Tom Strømnæss ikke bare vært ansvarlig for en av kanalens største suksesser, men også inspirert til ny interesse og undring rundt hendelser og spørsmål som har opptatt oss siden tidenes morgen. Hva er forklaringen på det uforklarlige? 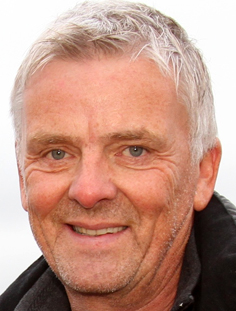 Tom Strømnæss har gjennom sitt arbeid med programserien sett nærmere på hundrevis av uforklarlige fenomen, møtt like mange mennesker som har opplevd slikt, og vært tett på de eneste i Norge som har forsøkt å forklare slike hendelser – såkalte klarsynte. I dette foredraget deler han sine erfaringer med oss. Mange tilfeller av healing er rimelig godt dokumentert. Men hvordan kan man forske på healing? Problemer blir presentert, som placeboeffekt og suggesjon, og begrenset «økologisk gyldighet» av kontrollerte laboratoriestudier (dobbeltblinde forsøk er fjernt fra healing under naturlige forhold). Forsøk er gjort med «fjernpåvirkning» av levende organismer hvor suggesjon ikke kan være årsak til endringer, f.eks. på celler, sopp, bakterier, planter, mus. Det er også relevant forskning på ubevisste, fysiologiske responser hos mennesker ved fjernpåvirkning. Både statistiske studier av healing av mennesker, og eksempler på dokumenterte kliniske tilfeller vil bli omtalt. Til slutt vil forklaringsproblemene som dagens fysikk og medisinske modell har, bli presentert. Min utviklingsprosess som healer har vært knyttet til å integrere jordiske erfaringer og "vokse ned". For meg har en slik prosess vært forbundet med mye frykt, men helt nødvendig for å klare å kanalisere den spirituelle energien jeg har kontakt med. Selv om mine hender "brenner" i en healing, er tilbakemeldingen at energien oppleves som kjølig, men oppløftende og bevisstgjørende på hvem personen egentlig er. Ganzfeld telepathy – What Have We Learned? The ganzfeld owes its success to lifting into the laboratory the very conditions that seem to promote telepathy in real life: the sender in the telepathic experience is exposed to an emotional situation and the receiver is in an altered state and the most common in real-life telepathy is a dream state. In short psi in the wild becomes psi in the lab. Two questions will be answered here: Does it work and what have learned that is new? Certainly the ganzfeld has reached the goal proposed by the unique collaboration of the major researcher and major critic but the goal posts have been moved and now the demand is for a higher level of success more common in biology than psychology. It is also being demanded that the recipe should work for all experimenters. A radical view will be presented here using what we know from previous successful ganzfeld methodology, the type of participants, and the characteristics of the experimenters who succeed. This enables us to formulate a new recipe for success and some theories about how ganzfeld works. The urgent need is for just that: learning something about psi from the ganzfeld and developing theories about psychic experiences. Precognition is the apparent ability to predict unexpected future events, and precognitive dreams are amongst the most commonly reported seemingly paranormal experiences. What are the characteristics of seemingly precognitive experiences? Can precognitions be used to warn the public of impending disasters? What psychological factors may be implicated in real-world precognitive experiences? And when researchers have tested for precognition under controlled laboratory conditions, what have they found? Join Professor Caroline Watt, of Edinburgh University, to discover the answers to these questions! Mind matures and ages with growth and decay of the body. If the soul is immortal why does it not have memories of its previous existence? Encounters with the dead that are reported by every forth person in Europe. Death-bed visions near time of death indicating contact with a post-death reality. This research has emphasized scientific empirical methods, and resulted in empirical arguments suggesting life after death. I will discuss the strength and weaknesses of these findings. Dean Radin, Chief scientist, Institute of Noetic Sciences. Nonlocality refers to effects that are not bound by the usual constraints of space, time, or causality. Nonlocality was predicted and experimentally confirmed within quantum theory; it is also why quantum effects are considered to be so strange. It is not a coincidence that the reason psi is considered strange is because it too has nonlocal properties. I will discuss experiments exploring the possible connections between quantum and psi phenomena. Research analysing case collections of spontaneous paranormal experiences suggests that in many instances psi might be characterised as essentially an unconscious process that directs behaviour or decision making; Louisa Rhine, for example, described numerous cases of psychic experiences without a cognitive component. This is reflected in Rex Stanford’s influential Psi Mediated Instrumental Response (PMIR) model, which suggests that psi is essentially goal-oriented, responding to basic needs and environmental threats or opportunities, so the person needn’t intend to use psi, nor be aware that they are — indeed such awareness might even be counter-productive. A number of currently popular and relatively successful experimental protocols in parapsychology are designed to address the problem of how to detect psi if it were essentially unconscious, and these fall into two broad categories: monitoring physiological changes that don’t reach conscious awareness; looking for modulated psi performance on a different explicit task. This research will be briefly reviewed here to give a flavour of the methods adopted and the results they have achieved. This presentation will include a more detailed description of tests that have been conducted recently here at the University of Northampton. Short overview of recent research pertaining to the central problems of the poltergeist phenomenon. Furthermore: Are poltergeist phenomena random or planned? This question is discussed in the context of a documented 3 month Norwegian case-study involving children and a number of adults. My present view, which I developed during the last 50 years of research and investigation in the field of parapsychology, has led me to a somewhat clearer idea about the nature of paranormal phenomena and their clinical aspects. After having listened to literally thousands of persons who report paranormal experiences in our counseling project, I have come to the conclusion that the “paranormal” is quite “normal”, but it is still tabooed by (Western) society. There is nothing supernatural behind it; we need not assume interactions of spirits or disincarnate entities, nor do we need transcendental dimensions, but we must append a complementary holistic description of the world to our reductionist world view. The Model of Pragmatic Information (MPI) has proved particularly fruitful to understand clinical cases. It allows a resource-oriented approach that will enable clients to help themselves. holds the endowed Thorsen Chair in psychology at Lund University in Sweden, where he directs the Center for Research on Consciousness and Anomalous Psychology (CERCAP). He was born in México, where he became licensed as a clinical psychologist, and has a Ph. D. from the University of California, Davis. He has been faculty at Georgetown University and The University of Texas-Pan American, where he was Department Chair, and other institutions. Elected fellow of the American Psychological Association (APA) and the Association for Psychological Studies (APS). He was a consultant on the dissociative disorders to the DSM-IV, DSM-5, and ICD. His areas of research include extraordinary anomalous experiences (including ostensible psi phenomena and psychopathology), dissociative processes and acute posttraumatic reactions, hypnosis and the stream of consciousness. He has more than 300 scientific publications, some of them in the top journals in psychology and psychiatry. Among his books are Varieties of Anomalous Experience (ed.) published by the APA and now in its second edition, the two-volumes Altering Consciousness: A Multidisciplinary Perspective, and Parapsychology: A Handbook for the 21st Century (ed.). He is also the artistic director of the International Theatre of Malmö. er idéhistoriker. Hun har særlig arbeidet med spiritismen og parapsykologiens historie i Norge. Hun holder på med en ph.d. om historien til Norsk selskap for psykisk forskning (det tidligere navnet til Norsk Parapsykologisk Selskap). er program- og prosjektleder for serien Åndenes makt på TVNorge. Han har tidligere ledet bl.a. Jakten på den 6. sans i samme kanal. er tidligere leder av Norsk Parapsykologisk Selskap (1987-91), siden 2002 redaktør av medlemstidsskriftet Parapsykologiske Notiser. Utdannet siv.ing. i telekommunikasjon, med en viss naturvitenskapelig bakgrunn, og har fulgt parapsykologisk forskning i over 35 år. Leder for Det Norske Healerforbundet siden 2012. Har blant annet mangeårig bakgrunn som leder innen kommunehelse- og omsorgstjeneste, høgskolelærer i ledelse og organisasjon, seniorrådgiver og forskning innen inkluderende arbeidsliv. Har siden jeg var liten følt tilstedeværelse av noe trygt, som å bli passet på av et usynlig nærvær. Nærværet snakket til meg første gang i 1986, og viste seg etter en alvorlig stressperiode i 2001. Min form for healingevner har jeg utviklet bevissthet om siden dette. was awarded the first Psychology doctorate with a thesis on parapsychology from the University of Edinburgh. 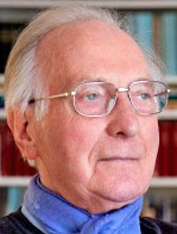 During the tenure of the Perrott-Warrick Studentship in Psychical Research at Trinity College, Cambridge University, he became the co-founder of a technique known as the Ganzfeld for reproducing these experiences in the laboratory. 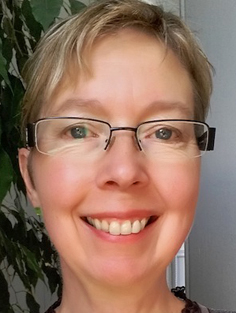 Adrian is also a licenced clinical psychologist, having qualified from the Tavistock Clinic. He is Professor in Psychology at Gothenburg University, where his interests in psychic phenomena, hypnosis and dream states are supported. 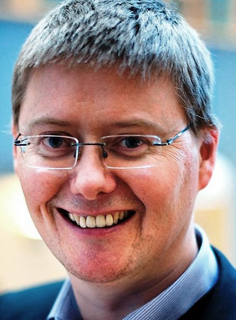 He is a member of the governing board of the English and Swedish Societies for Psychcial Researhc. Adrian is the author of the book States of Mind and co-author of the currently published book Shakespeare's Ghosts Live. 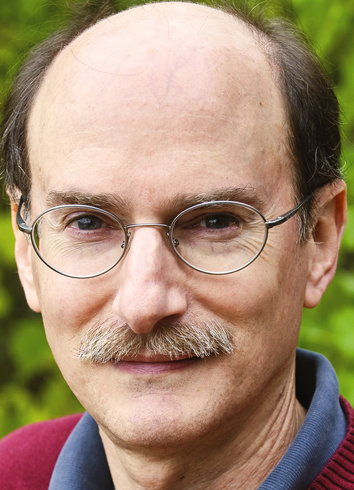 Dean Radin, PhD, is Chief Scientist at the INSTITUTE OF NOETIC SCIENCES (IONS). Before joining the research staff at IONS in 2001, he held appointments at AT&T Bell Labs, Princeton University, University of Edinburgh, and SRI International. 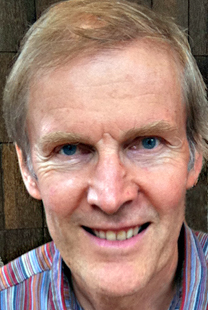 He is author or coauthor of over 250 technical and popular articles, three dozen book chapters, and three books including the award-winning The Conscious Universe (HarperOne, 1997), Entangled Minds (Simon & Schuster, 2006), and the 2014 Silver Nautilus Book Award winner, SUPERNORMAL (Random House, 2013). is Professor of Psychology at the University of Northampton. He is the Perrott-Warrick Senior Researcher, and Director of the Centre for the Study of Anomalous Psychological Processes. He is President of the Parapsychological Association, Chairman of the British Psychological Society Transpersonal Psychology Section, a Council Member of the Society for Psychical Research and the International Affiliate for England of the Parapsychology Foundation. He edits the Journal of the Society for Psychical Research and is on the editorial board for the Transpersonal Psychology Review. 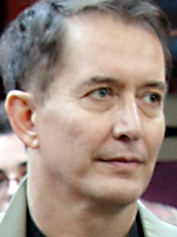 His research interests are around understanding the nature of anomalous experiences and includes research on the phenomenology of paranormal experience, particularly as it affects wellbeing, the psychology of paranormal belief and of deception, as well as experimental approaches to test claims for extrasensory perception and psychokinesis, particularly where they involve psychological factors. Recent research has been concerned with the relationship between altered states of consciousness and psychic experience. He has published over 90 journal papers and book chapters and given over 100 invited and conference presentations. 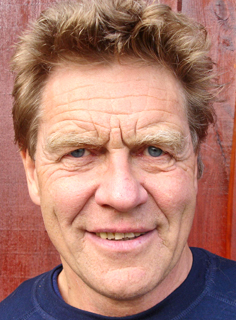 Professor emeritus of neuropsychology, University of Oslo. received in 1978 Sc.D. in physics (Dr. rer. nat.) at the University of Freiburg, and in 1986 Ph.D. in psychology (Dr. phil.) at the University of Berlin. 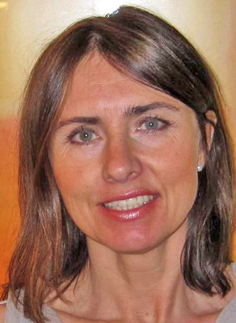 1979 to 1985 assistant-professor at the chair of "Psychology and border areas of psychology" at the University of Freiburg. 1985 to 1987 he was visiting professor at the Parapsychology Laboratory at the University of Utrecht. 1989 he created the "Parapsychologische Beratungsstelle" (parapsychological counselling office) at Freiburg as an official project by the federal government of Baden-Württemberg . Since 2000 Member of the „Institut für medizinische Ethik, Grundlagen und Methoden der Psychotherapie und Gesundheitskultur (IEPG)“ at Mannheim, Germany. 2000 he obtained the Outstanding Contribution Award of the Parapsychology Association, USA, 2014 the Hans-Driesch-Wissenschaftspreis. Since 1980 he is managing editor and since 1983 coeditor of the PA-affiliated journal: "Zeitschrift für Parapsychologie und Grenzgebiete der Psychologie", coeditor of the journal "Cognitive Systems". 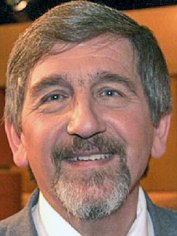 Since 1981 council member of the "Wissenschaftliche Gesellschaft zur Förderung der Parapsychologie e.V. (WGFP)", member of the "Parapsychological Association" (PA), the "Society for Psychical Research" (SPR), London, the "Society for Scientific Exploration (SSE)", USA, the "European Society for the Study of Cognitive Systems (ESSCS)", Netherlands, and the “Arbeitskreis Psychomarkt - Sekten - Destruktive Kulte" in the Berufsverband Deutscher Psychologen e.V. (BDP), Offenbach, Germany. Forhåndspåmelding gjøres for hele konferansen under ett. Pris kr. 1200. Det inkluderer lunsj lørdag. Plass foran i møtesalen reserveres alle forhåndspåmeldte. Ved påmelding innen 1. mai får man dessuten gratis adgang til et åpent foredrag torsdag 4. mai i Litteraturhuset: Parapsykologi – våre skjulte evner. Jubileumsmiddagen lørdag er kun for konferansedeltakere . Den finner sted på det trivelige Josfine Vertshus, Josefinesgt. 16. Pris kr. 800 (3 retter, 3 glass vin). Påmelding skjer ved epost til informasjon@parapsykologi.no og innbetaling av kr.1200 + eventuelt kr. 800 til vår bankkonto: 0540.04.74518. Husk navn og adresse som avsender. Det er mulig å komme på enkeltforedrag hvis man ikke deltar på hele konferansen, med forbehold om at det er ledige plasser.